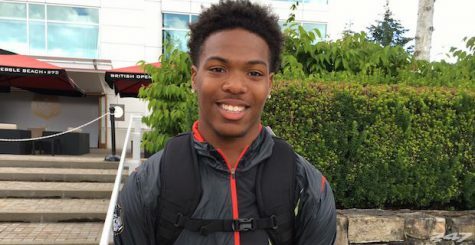 Oregon Ducks Football: New Lockdown Cornerback Thomas Graham, Jr. 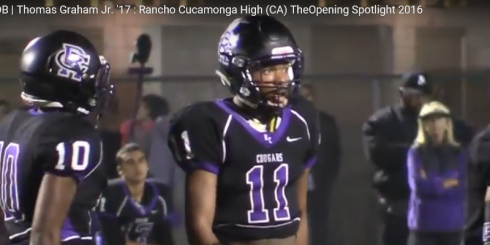 In a really fine defensive back class that the Oregon Ducks football team signed in February 2017, one of the headliners is certainly cornerback Thomas Graham Jr. from Rancho Cucamonga, California. Graham was a three-year starter for the Cougars playing wide receiver, safety and cornerback. 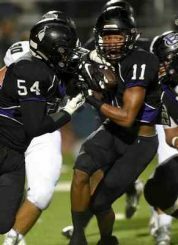 He follows notable alumni Terrell Thomas (N.Y. Giants) and Gerald Alexander (Jacksonville, Carolina), as well as former Oregon great Patrick Chung, that played their high school football at Rancho Cucamonga before moving on to distinguished college and pro careers. 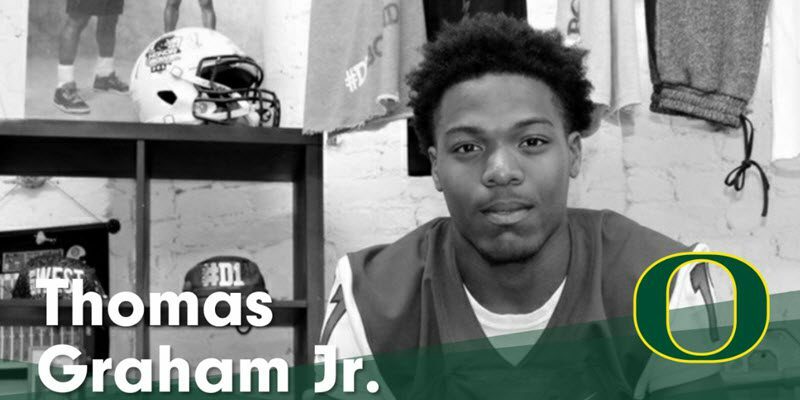 The versatility of playing both sides of the ball makes Thomas Graham Jr. an outstanding prospect. Graham is a highly regarded, nationally prominent recruit. Before committing to the University of Oregon on December 16, 2016, he was an Under Armor all-American (USA Today). Rated a 4-star prospect, he was ranked No. 6 at his position in the country and was the No. 49 overall prospect by ESPN. The sports website 247Sports.com ranked him as the No. 10 cornerback and No. 82-ranked player overall. And Rivals.com weighed in with their opinion that he was the No. 12-ranked cornerback and the overall No. 127-best player at any position in the country. Graham has been listed between 5’10 and 6’0 tall, depending on the media source. There seems to be a consensus as to his weight of about 175 lbs. Based on an eyeball test of his frame, I’m guessing that he has achieved about 98% of his eventual height and approximately 90% of his optimum playing weight, relative to his age. His reported 40-yard dash times vary significantly from 4.45 on the low end, to 4.52 on the high side. Though he is not a “burner,” he does in fact have very good speed to play the cornerback position. As kids develop from high school to college, they grow into their bodies and become a step faster with better training, nutrition and maturation. If he enters the NFL Draft three years from now, I’m assuming he will be a shade under 6’0 tall and weigh about 195 lbs. Furthermore, I’m guessing he will be in the solid 4.45 range for the 40. These are great (not elite) triangle numbers for a boundary corner. Based upon these numbers, however, he appears to carry a solid 2nd-round grade and a guy that would be drafted to come in and help a team immediately. Graham is a quick-twitch kid. Fast, bendy and really smooth in his transition from back peddle to “flipping his hips” into transition to full speed. In the video above he demonstrates his flexibility and great use of his hands. Very impressive. Here is a look of him taking these skills out onto the field. In the video above, Graham is the boundary corner at the top of the screen locked up one-on-one with the split end. He back peddles and then transitions to full speed in about a step and a half. A vital skill boundary corners need to employ is the use of the sideline as another defender. In the video above, he demonstrates great technique in subtlety, forcing the receiver out of the field of play while he has his head turned to track the ball. This is textbook technique. Here is another clip of him (on the far left, above) using the sideline. He is a very physical bump-&-run guy, and he clearly gets it. He has been well coached, and he has taken those skills out onto the field. The ability to track the ball in the air and utilize his natural hand-eye coordination while running at full speed is an absolute must for a defensive back. Watch Graham (at the far left, top of the screen) flawlessly demonstrate this ability in the video clip above. 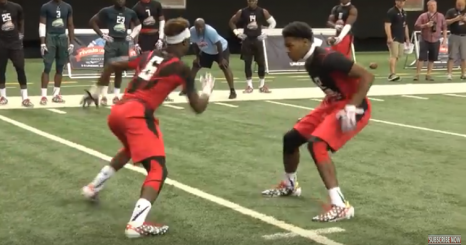 Cornerbacks and wide receivers have similar skill sets for obvious reasons. And being great athletes, one trait in particular that they possess is exceptional hand-eye coordination. Graham makes this look easy in the video above. Defensive backs are quite often matched up against taller receivers. They win these match-ups by out-jumping their opponent just as the ball arrives. This timing is called “high pointing” the ball. This is why defensive backs that are 5’10 can compete against 6’3 receivers — because they have a 40″+ vertical jump. In the video above, Graham does a nice job of elevating to make a play against perennial Southern California power Mission Viejo. Another really fine effort by Graham demonstrating great range, closing speed, hand-eye coordination and high-pointing the ball. He puts it altogether, showing just how it’s done. This clip above, is his best. The cornerback position has evolved over the last 20 years, as the NFL has transitioned from a run-oriented to a pass-first league. The Offset “I” has been replaced by three, four and sometimes five wide receiver sets. The quarterback, long a staple under center, has taken his place in the more familiar “Shotgun” position, much like college and even high school teams. The insertion of a nickle or dime defensive back in passing downs has been replaced with defensive schemes that reflect the pass-happy style of football played today. These five and six defensive back schemes are the norm now, even on first or second down, rather than the conventional 3rd-down situation of the past. This change in the offensive game has required defensive coordinators to change their personnel groupings accordingly. In todays NFL (and in the collegiate ranks), cornerback specialization has made it incumbent upon personnel people to adjust by tailoring the position to the job description. It’s broken up into boundary corners and slot corners, and the job description and the personnel types that play these two positions are very different. Boundary corners are larger athletes intended to match up with the big wide receivers that are in vogue. Typically these guys range from 5’11 to 6’3 with a lanky build, and the overwhelming emphasis is on height rather than speed. They deal with a lot of sideline throws, back-shoulder throws and “Go” routes down the sideline. Slot corners tend to be shorter, thicker guys. They’re quick twitch athletes that do not have the luxury of a sideline to help out, like on the boundary. Slot guys get matched up with smaller, faster, quicker wide receivers. Quite often the slot receiver is the opponent’s best athlete. What makes this slot corner position more difficult is that you have to play your opponent straight up, so you don’t know where he is going on his route. On the boundary however, you can play the wide receiver inside-out to try to take away his inside routes (and half of his game). In the slot, that is nearly impossible, because he is playing back off the line of scrimmage and he has more room to run. Another obstacle to playing a slot receiver is that the opponents will game plan to get their best athlete with a free release at the snap of the ball. The easiest way to do that is have another receiver “rub” the slot corner to free the slot receiver. 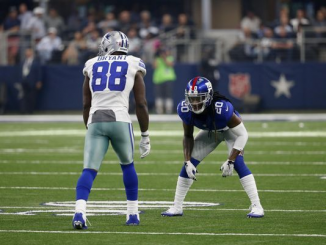 Janoris Jenkins covering Dez Bryant. In terms of triangle numbers, athleticism, football IQ and position rankings coming out of high school, Thomas Graham reminds me of Janoris Jenkins of the New York Giants. Jenkins is recognized as one of the best lock-down corners in the NFL. A tough, fast defender that is exceptional in one-on-one matches. He is the classic bump-&-run guy playing on the edge. Graham is an exceptional talent. Not the biggest guy in the world but plays bigger than he measures. This guy possesses great field awareness, nice closing speed and is a tenacious defender. Although I believe that his play fits the boundary corner position, I would not be shocked to see him play in the slot some, too. Physically he is a bit of a “tweener” with respect to what position he best fits, but his ability to match-up and bump-&-run while using the sideline really stands out. Great bump-&-run kids with the confidence and athleticism to play that way don’t come around every day, and I think it would be mistake to not play him at his natural position. Graham likely will be one of the best cornerbacks to ever play at Oregon. He is the Real Deal.